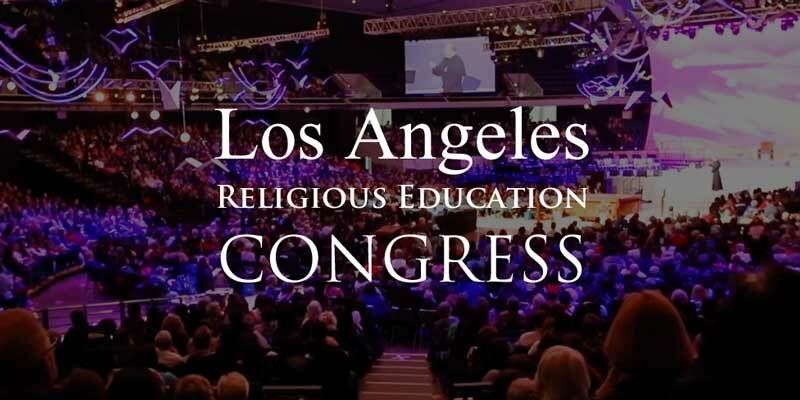 If one were looking for a front-row seat to comprehend the disarray that’s befallen the Catholic Church, one needn’t look far from the Los Angeles Religious Education Congress (“REC”), taking place this March 21–24 at the Anaheim Convention Center. Though the REC, sponsored by the Archdiocese of Los Angeles, is hailed as the largest annual convention of Catholics in the country, drawing nearly 40,000 Catholic educators and students each year, it provides a stark representation of the issues plaguing the Church — namely, the failure to handle the abuse crisis, heterodoxy, and the disintegration of the liturgy. The Congress is no stranger to controversy. In 1994, the California Coalition of Concerned Catholics raised concerns over the REC’s promotion of former priest Daniel McGuire, a vocal proponent of abortion. Though McGuire’s appearance was revoked, the Congress has continued to raise concerns in years since, and 2019 will be not at all different. This year’s Congress will feature the retired and disgraced Cardinal Roger Mahony giving a workshop to junior high and high school students regarding “Volatile Immigration Issues.” The cardinal has concelebrated Mass at previous congresses alongside Archbishop José Gomez and Bishop Kevin Vann of the Diocese of Orange. His appearance comes despite the fact that he was stripped by Archbishop Gomez of all “administrative or public duties” in 2013, following revelations of his cover-up of homosexual abuse in the Archdiocese of Los Angeles. Aside from his malfeasance on abuse, Cardinal Mahony embodies the decay that has gutted the Church for the past 60 years — from his broadsides against Mother Angelica and his insistence on giving the Eucharist to pro-abortion politicians to his construction of a $250-million modernist-style concrete cathedral adjacent to the 101 freeway in downtown Los Angeles. In his testimony last August, Archbishop Viganò recounted how former cardinal McCarrick had been rehabilitated by Pope Francis. Mahony’s prominent appearances at the Congress, his materialization at recent years’ confirmations, and the subsequent silence of current Church leaders have left Angeleno Catholics to speculate if Cardinal Mahony has obtained similar reprieve and wonder why clerical leaders in the Dioceses of Los Angeles and Orange (where the event is held) have not publicly addressed this. The cardinal’s presence isn’t the only visualization of the crisis at the event.